Glutathione (GSH) is a critical and very powerful antioxidant that helps neutralise free radicals inside our cells. Over 40,000 papers on its effects were published in 2010. Vitamin C and E depend on its presence to function fully. It is a naturally occurring amino acid but the body can make it as well. Studies show clearly that in older people those with the highest blood levels overcome illness quickest. Without glutathione, T-cells cannot function properly. It’s as simple as that. German work stemming from a 1998 Nobel Prize has shown that toxic cells lose their energy-producing ability and ’power down’. Below certain levels of power, protective genes cannot work. Glutathione levels seem to be very important in keeping cellular energy high. Some alternative cancer therapists focus on low glutathione levels found in the cells of cancer patients, trying to drive them, and thus oxygen levels, upwards. Glutathione is a terrific cellular detoxifier, helping to break down the adverse effects of environmental toxins, from heavy metals to tobacco smoke and diesel fumes. It is produced in all cells of the body, specifically to break down these dangerous toxins and free-radicals. It works in the gut, in the blood stream and in the cells. Its particular strength is with peroxides, the precursors of free-radicals, and also with bad fats. How do I increase levels naturally? 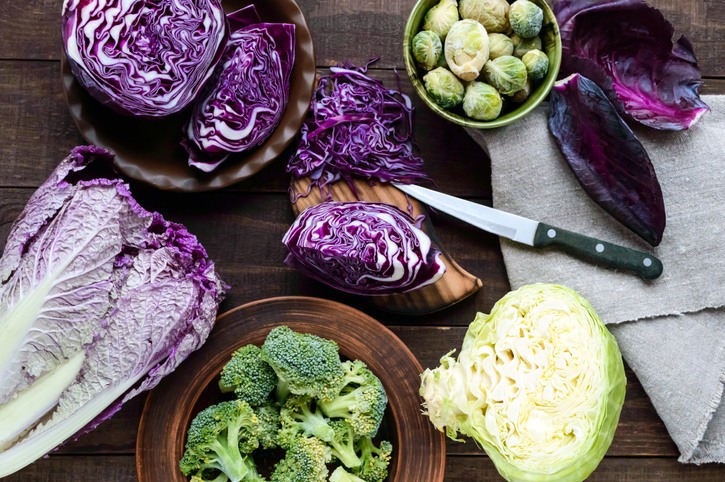 Green vegetables like Brussels sprouts, cabbage, cauliflower and broccoli are the usual recommended providers but also top of the list are avocado, asparagus, watermelon, grapefruit, boiled potatoes, strawberries, raw tomatoes, oranges, and orange juice. The problem is that adults and especially children simply do not eat the levels of ’greens’ their forefathers ate. There is hope! Chlorella, wheatgrass and ’supergreens’ also provide glutathione and, in part this explains the claims often made that they are strong on detoxification too. As a preventative measure, some experts suggest you can take 100 mgs of glutathione with your meal. Also taking glutamine, an amino acid supplement, pumps up glutathione in the body and boosts the immune system. It can be taken as two teaspoons of glutamine powder (8,000 mgs) daily dissolved in water. Two to three times that volume may be needed if you are ill. The latest trend is for glutathione patches. These can stimulate increased levels of glutathione inside the cell and so seem particularly beneficial if you are ill. But. It has long been known that high glutathione levels seem to prevent illness, control ageing and can reduce cancer risk. But it seems there could even be two types of glutathione a good sort and a bad type. Here’s the rub: There is evidence that cancer cells defend themselves from chemotherapy attack by hiking up their glutathione levels to detoxify it! Cancer cells may be more resistant to death because of high glutathione levels; this being a different type of glutathione and this type may even be controlled by heredity. German and Spanish researchers both noted this phenomenon and a high presence of an enzyme, glutathione-S-transferase in cancer cells. American researchers have tried to feed this enzyme a drug, PANA/NO, that converts to deadly nitric oxide and kills the cancer cell in the presence of this enzyme. Frankly, I have a simple message just eat lots of fresh fruit and vegetables, especially greens, and take probiotics to help their detoxification action, and release their crucial vitamins and cancer-fighting natural compounds like vitamin K. Also you might look into boosting your ’greens’ with chlorella, wheatgrass and other ’supergreens’ too. If you are considering buying these you might like to look at the NATURAL SELECTION SHOP by clicking here. Meanwhile, leave glutathione supplements to the scientists!